Wednesday, 25th April, was Anzac Day - the memorial day for the Australian and New Zealand soldiers who perished in the World Wars and other more recent conflicts. Lest we Forget - definitely. But what of the many civilians who also lost their lives to war? It is impossible to get exact figures but estimates for World War II alone stand at between 50 and 80 million lives. an(https://en.wikipedia.org/wiki/World_War_II_casualties). A United Nations report stated that four million people died in Indonesia as a result of famine and forced labour during the Japanese occupation, including 30,000 European civilian internee deaths. (https://en.wikipedia.org/wiki/Japanese_occupation_of_the_Dutch_East_Indies) My grandmother was one of them. 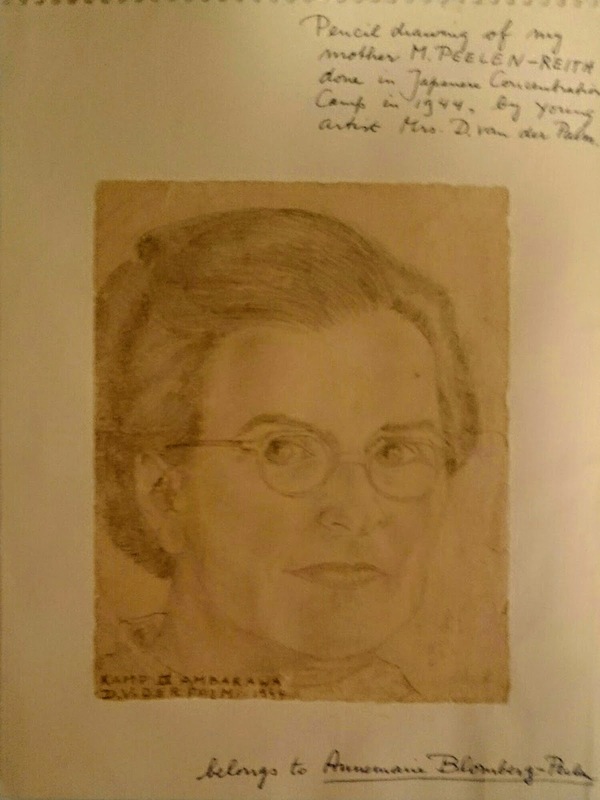 Meta was born in Tonningen, Schleswick-Hollstein, Germany on 3rd May 1891, daughter of Emil Reith and Marie Schuman. Her father was a senior customs officer - Uber Zoll Inspektor. 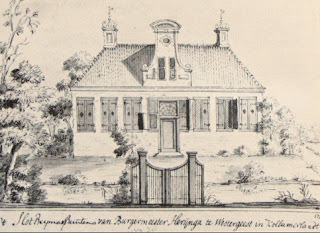 Meta grew up in Germany and at one time the family must have lived in or holidayed in Oberlahnstein, a small town on the banks of a tributary to the Rhine, because this is where she met her future husband, Rein Peelen. His father was a director at the Victoria Spa Mineral Springs - renowned for its healing properties. They married on 7th October 1914 in Semarang, Dutch East Indies and settled down at Ngobo, the coffee plantation where Rein worked as manager. It was a happy life, bringing up their five children, three sons and two daughters. 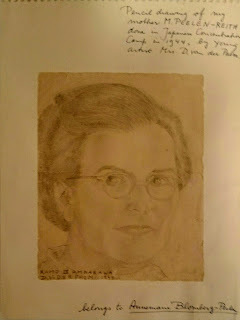 Meta had completed a diploma in fine arts in Hamburg and created handcrafts such as cushions, calendars, cards, paintings, portraits and the like for fundraisers. Their home was also decorated with her murals and pictures. She was also active in local community welfare. made in camp about a year before her death. On 28 February 1942 this came to an end when the Japanese Forces invaded and occupied the Dutch East Indies. Already her husband Rein Peelen, who had been with the Dutch resistance forces had been taken prisoner (I wrote about this in another post - Where there is a will there's a way) and she and her daughters were left to fend for themselves without income. For a couple of years they survived by bartering their goods for food and Meta had opened a soup kitchen from their home, where every day neighbours and other locals would help prepare the food to be shared. 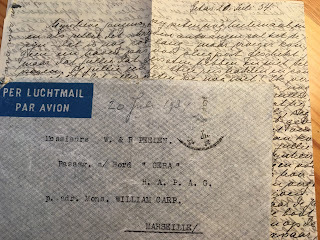 However, on 15 March 1944 Meta and her daughters were rounded up and taken to camp at Ambarawa (Meta wrote about this in her diary which I have blogged https://metawrites.blogspot.com.au/). Conditions in these camps were barely tolerable at first but worsened as Japan struggled with keeping the upper hand. They had to work long hours with very sparse food rations. I remember my mother telling me how they would make a "treat" from what little coffee and sugar they were given by adding a some water and beating it till it fluffed up, giving the illusion of more. Sanitary conditions were so bad that dysentery, cholera as well as diseases of malnutrition such as pellagra and beri-beri were rife. At the time Japan surrendered, Meta was in the camp hospital, desperately ill with dysentery and her daughters valiantly nursed her and brought her whatever food they managed to somehow smuggle in. But on 25th August, 1945 Meta passed away with her daughters at her side. My aunt recalled that she was buried later that evening on a hill side at Ambarawa. 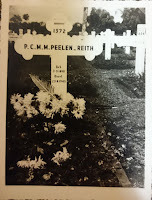 Some years later her remains were moved to the Dutch war memorial cemetery Pandu. Pandu - Ereveld Pandu - is located on a slope and attached to the main cemetery of Bandung and has some 4000 graves of KNIL soldiers and civilians who perished in the camps on Java. It also has a memorial to the unknown soldier and the unknown civilian. Thank you, Valarie, I do my best to be respectful of their lives and stories, good to know I'm succeeding. Wow - what a story. I've tears in my eyes - both from the facts of your grandmother's death and your poignant telling of them. So many suffered because of Hitler - we often forget that his victims were spread throughout the world. Thank you Teresa, indeed we all tend to focus on our own little world and this adds weight to "Lest we Forget" for all people.